This classic sauce becomes so very simple to make using the Anova Precision Cooker. No monitoring needed — just mix, cook and give it a quick whisk or blend (as I did with my immersion blender) and you’re done. The tang of the vinegar and the sweet, anise-like flavor of the tarragon are perfect together and make a great topping for fish or steak or chicken. This sauce is thick enough to use as a sandwich spread, too — perfect for chicken or turkey sandwiches. Go wild and use your imagination! Set the Anova Sous Vide Precision Cooker to 174ºF (79ºC). 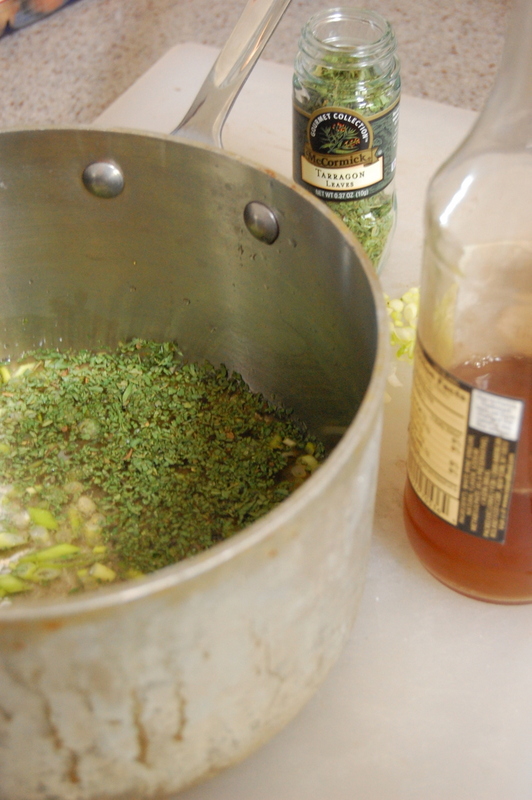 Place vinegar, wine, tarragon, and scallion in a large saucepan. Season with salt and pepper. Bring to boil over high heat, lower to a simmer and cook over medium-low heat until reduced to 1/4 cup, about 5 minutes. Strain the vinegar mixture through a fine-mesh strainer into a small bowl. Let cool for 5 minutes. 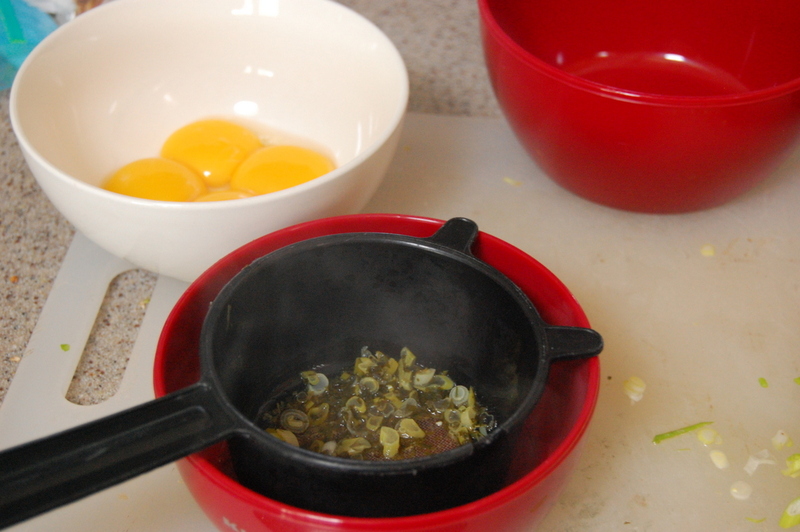 In a medium bowl, whisk together the egg yolks. Add the cooled vinegar mixture and whisk to combine. 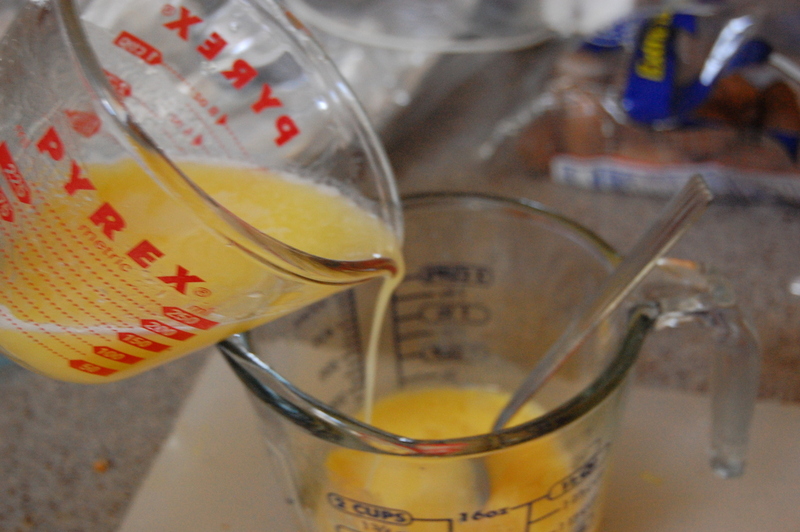 While whisking constantly, drizzle in the melted butter. Continue whisking until mixture is smooth. 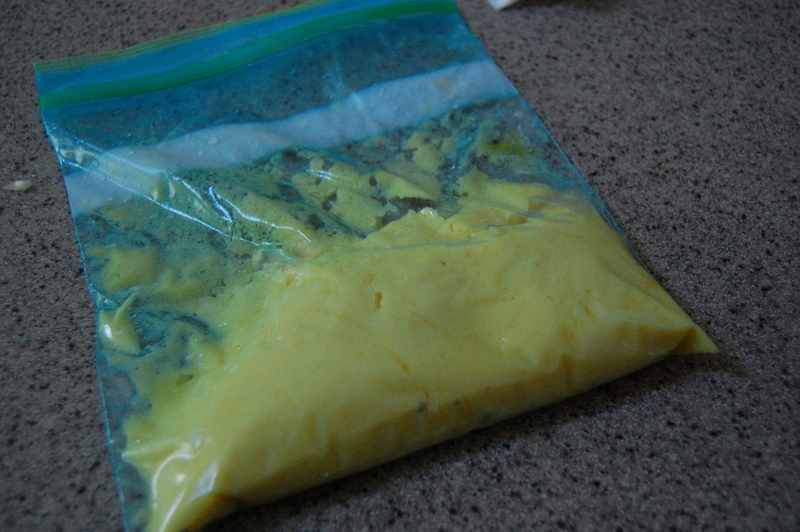 Transfer the egg mixture to a large zipper lock bag. Seal the bag using the water immersion technique. Place in the water bath and set the timer for 45 minutes. When the timer goes off, remove the bag from the water bath. Transfer the contents of the bag to a medium bowl. 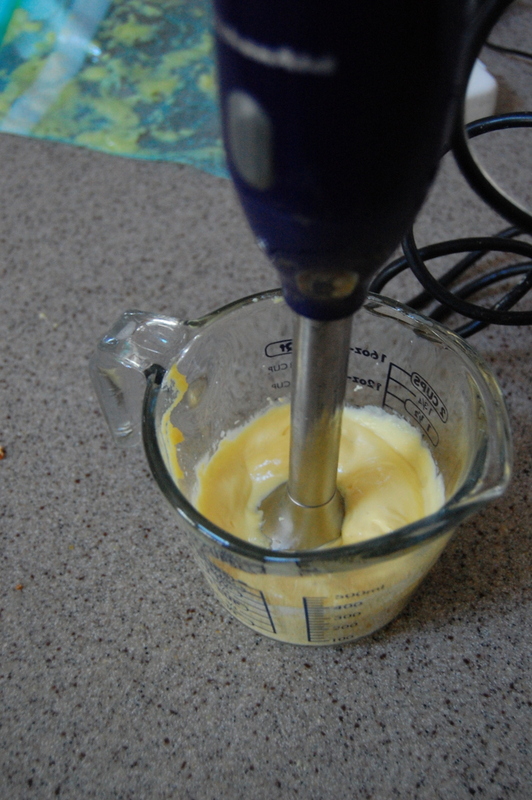 Whisk or use an immersion blender to re-combine the sauce. Continue whisking or blending until smooth. Stir in the remaining tablespoon tarragon. Serve as complement to meats, chicken or fish. Note: if held in refrigerator (will keep up to 1 week in sealed container), reheat by placing sealed bag of sauce into warm water. You may need to whisk again.